100% Cabernet Sauvignon from South Australia. SRP of $15 and available at that price. 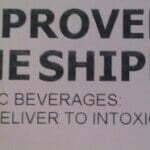 Sample received courtesy Old Bridge Cellars for review purposes. “After making Zonte’s Footstep Rosé for six vintages we named it this year in honour of all Scarlet Ladybirds in our vineyard, which eat other tiny pests like aphids and keep our fruit fabulous. The Scarlet Ladybird Rosé is made to our house style, fun to drink seriously, deep and dry, and always comes up smelling of roses. In 2003 a group of mates pooled old white utes and new-ish tractors to grow the best grapes from the best vineyards. All we want to do is taste our fruit in our wine, so we charged our reigning winemaker, Mr. Ben Riggs, with one goal; to make wine true to vineyard so long as it is bloody good drink! Scarlet Ladybird hails from the heart of South Australia’s best region for making Rosé. Here, the cooling afternoon sea breezes from the Great Southern Ocean allows vines planted on their own roots in maritime sands, some of the world’s oldest soil, to thrive, perfect conditions for our Scarlet Ladybird Rosé. The truth is out there in the vineyard, but the proof is in this bottle. 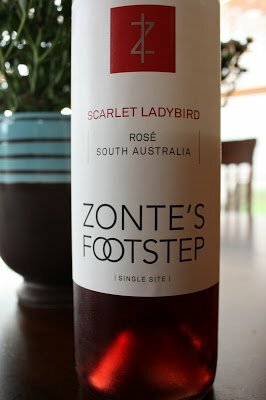 The 2010 Zonte’s Footstep Scarlet Ladybird Rosé begins with an excellent aroma of strawberry and other berries along with lots of perfumed floral notes. 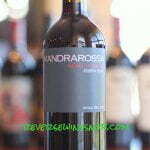 The wine tastes of lots of juicy sweet berries and is medium-bodied. This is an incredibly fresh lip smacker, but it gets even better. The finish adds some unexpected spicy tannins that balance out the sweet fruit perfectly and the refreshing berry flavor lingers for a long time. 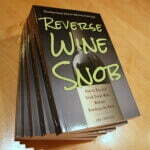 I liked this wine better with every sip. The contrast between the sweet berries and the tannins on the finish was fantastic. Highly recommended. 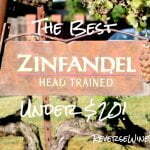 Stay tuned tomorrow for a review of another Zonte’s Footstep wine, the 2010 Doctoress di Lago Pinot Grigio.